We will have the participation of Dionysus' New York representative, Kamal Kouiri, the Wine Director at Molyvos and winner of Wine Enthusiast’s “Award of Unique Distinction” and Wine Spectator’s “Best of Award of Excellence” and Robin Kelley O’Connor, Certified Wine Sommelier and Certified Wine Educator since 1993 in an exploration of the best 21st century products of the ancient god. 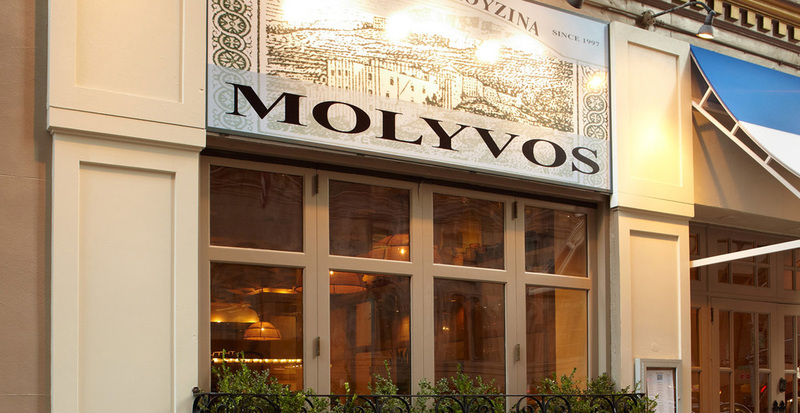 Join us as we taste 9 top wines from the best wine regions of Greece together with spectacular appetizers from the Molyvos kitchen! 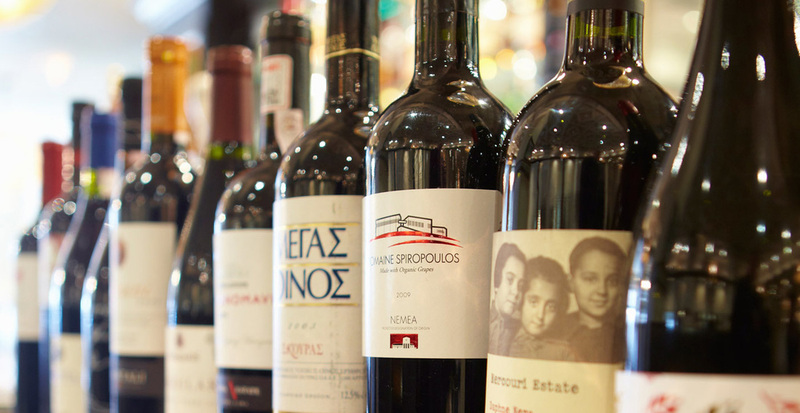 Greek wines have had a major rebirth over the past several decades and can now be rated as some of the best quality in the world. 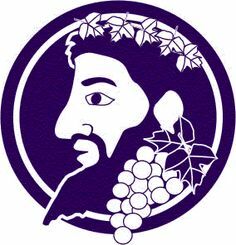 Kamal will guide us through the major wine regions of Greece, offering some of the top wines from each area paired with authentic Greek appetizers. This will be an exciting experience for all wine (and food!) lovers! Made with Zibibbo grapes from the volcanic terroir of Lemnos Island, this modern expression of Greek sparkling wine has a bright color, soft aromas of almond flowers, pear, apricot, lemon, Jasmin and rose, and a flowery palate and caramel aftertaste. This dry, white wine from Mantinia in the heart of the Peloponnese region is pale yellow in color and boasts floral and fruity aromas, a lively acidity and light body feel. Produced in the cool region of Amyndeon, this well-structured white has a light yellow color with greenish tints, a floral aroma with hints of rose petal, and a rich texture with superb length and balance. Made from a lesser-known and typically misunderstood grape varietal that grows predominately in the region of Attica, the lean, fresh, terroir-driven wine is produced from a low yield of 50 year-old vines that grow in non-irrigated limestone soil. On the richer side of Assyrtiko, this zingy white wine with a very live acidity has a light to medium gold color, smells of lemon zest, honey suckle, and white flowers and has flavors of pink grapefruit and exotic citrus rind, sea spray and tons of minerals such as lava and chalk. Produced in Naoussa in the region of Macedonia in 100% stainless steel barrels, this balanced red is made from organic grapes and has a splendid, purple red color. It offers a complex bouquet of cherry, blackberry, and plum and has a full mouth feel, rounded tannins, and balanced acidity. The fruit in the latest iteration of this wine is sourced from a single vineyard – the Hedgehog vineyard—and the wine was aged 12 months in oak barrels. The bright purple-red color, complex bouquet of small berries red fruits, leather and spices (vanilla, pepper, clove), with hints of ripe blackberry and full mouth feel with rounded tannins and balanced acidity provide a long aftertaste. This red blend features a beautiful nose with aromas of rich spices, red fruits, subtle and sweet oak, cherries and apricots. It has a nice full body with a balanced structure and a powerful character follow, revealing an austere, unfiltered wine. A blend of Xinomavro for its refreshing aftertaste and aging potential, Syrah for its finesse and fruity aromas, and Cabernet Sauvignon for its tested phenolic potential. All three grapes are planted with extremely small yields and after long vinification, the different grape varieties age in new oak barrels for 12 months. This wine is produced from grapes grown in Domaine Spiropoulos, organically cultivated vineyards in Nemea. After careful processing of the Agiorgitiko grapes in the winery in Ancient Nemea, the wine is aged in French oak barrels (225 lit) for 12 months. This full-bodied wine is deep red in color and has a flavor of ripe red fruits with hints of cherry, wood, vanilla and spices.